This past weekend M and I participated in the national day of Civic Hacking here in Sacramento. Recently the mayor had declared it the “year of food” for the city and one of the challenges was to create an app that encourage people to eat more locally. When I saw the challenge, I immediately told M that we at least needed to go since it covered both our passions (coding and food). We took an evening and brainstormed to find ideas for an app that we could pitch and eventually stumbled upon an idea of creating a game/educational app that introduced people to a new item of local food each week (either through going to a restaurant that featured that item using local produce, going to the farmers’ market, or making a recipe using that locally sourced ingredient.) We pitched our idea Friday night and spent the next 24 hours working with a team of people who liked our idea enough to come work with us. That being said, I didn’t see much of my kitchen this weekend! So instead, I thought I would pull a few recipes I created last summer. Last year I sold a little eBook on the blog of summer recipes and since I didn’t feel like putting it back up for sale again, I thought it would be nice to share some of my favorite recipes. Since being out in California, I think I’ve overate my share of berries (I can’t get enough). 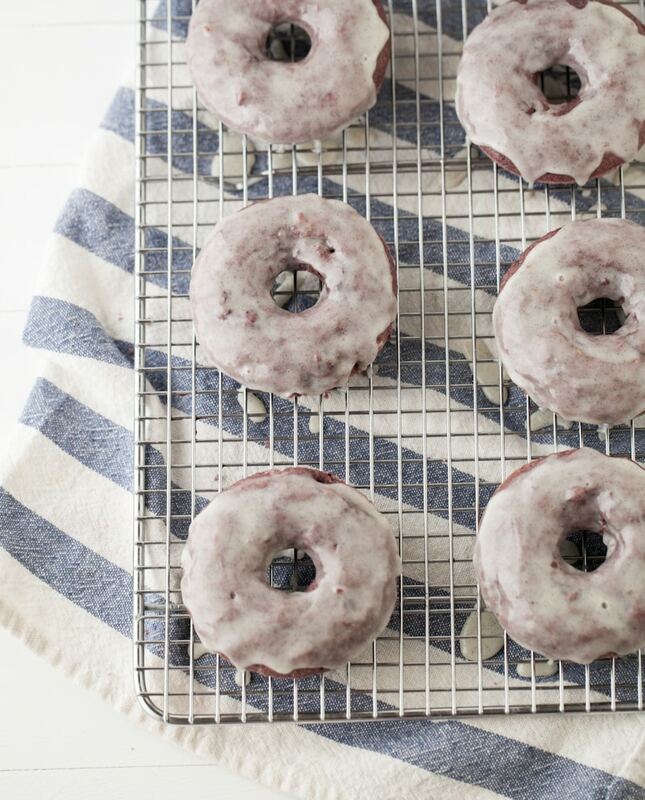 These doughnuts don’t have a strong berry flavor but I think they are just perfect. Combine blackberries and maple syrup in a small pot. Cook until berries begin to break down, 8-12 minutes. Remove from heat and smash. Preheat oven to 350˚ and lightly oil adoughnut pan. In a medium bowl. combine 2 cups whole wheat pastry flour, 2 teaspoons baking powder, and 1/2 teaspoon salt. Give a good stir and set aside. Next, whisk together two eggs, 1/2 cup milk, cooked blackberries, and 1/4 cup walnut oil. Pour into dry ingredients and stir until combined. 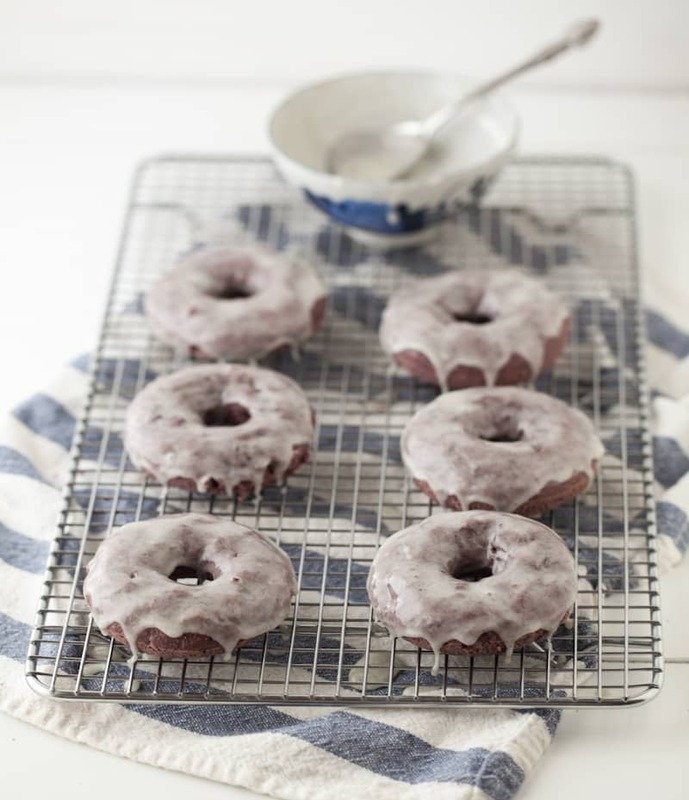 Scoop into plastic bag and squeeze batter in to doughnut pan, leaving 1/8” clear from the top of each doughnut. Bake for 12-15 minutes. Doughnut should spring back. Remove and let cool for 10 minutes. 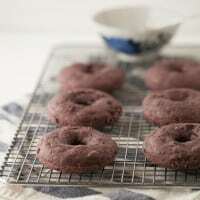 Scrap out vanilla bean into a small bowl and whisk in 1 1 1/2 cup powdered sugar and 1/4 cup milk, continuing to add milk until icing becomes drizzling consistency, Lightly drizzle over doughnuts and serve. Kudos on the app building! If you like events where you have to code and build a installation in a short amount of time, google “art hack day” – maybe they have one in a city near you? It’s an art event where artists get together, rather it be visual or coders and build a finished product in 48 hours. We have been doing it the past few years and it’s tons of fun! To end, your donuts make my life better. Erin these sound incredible, just look at that glaze!! I love blueberries and I’m so glad they’re back in season!! I know what you mean about berries! Sounds like you had a great time, and more to come. Mmmm, I love everything about these doughnuts! These DO sound perfect – so happy you decided to post this recipe! Those are quite lovely, lovely indeed! YUMM!! I love these doughnuts, they sound delicious! 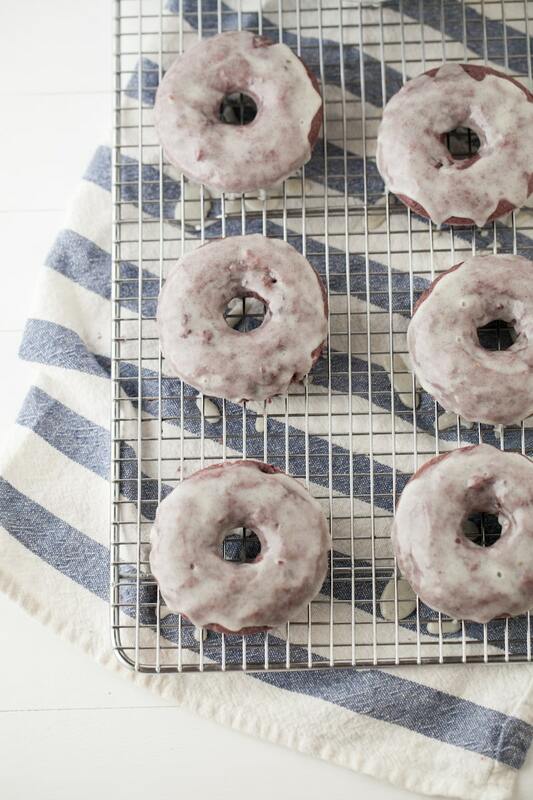 These look really good – love the color and the idea of the vanilla glaze! 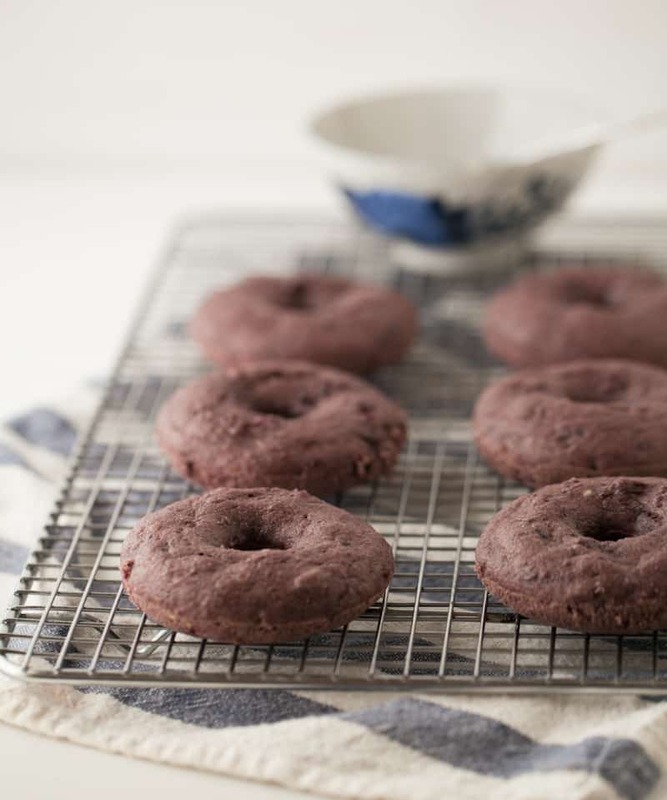 I have never made donuts before but these look like a great idea! Blackberries are my favorite summer treat! These donuts look Awesome!